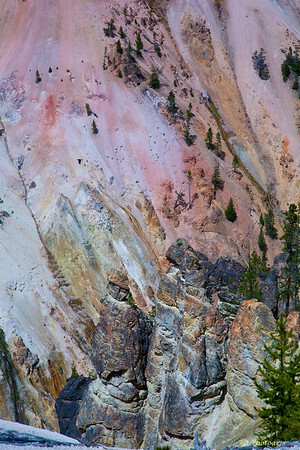 The amazing array of colors and patterns on hill side at Artist Point in Yellowstone National Park tells the story of geological history of this unique area. Ditto Terry !!! Truly a paining of TIME itself !!! Wonderful shot and composition !